The e-commerce market in Asia Pacific is the largest in the world, and it is just taking off. With all sorts of news and reports that suggest a growing trend for consumers to shop online and via mobile, for example an impressive YOY 39% increase in Alibaba’s 2017 Single’s Day, and Research and Markets’ latest report on how Asia Pacific will be the region make up almost half of global B2C e-commerce, the space could be interesting to keep an eye on. A recent report from Worldpay did several predictions on how e-commerce payment would evolve among different regions, and interestingly enough, its forecast on credit card payments is pessimistic. Credit card payments in APAC are forecast to fall from 30% of the total eCommerce market to 10% by 2021.
e-wallets are set for strong growth and are expected to eclipse credit cards and become the most popular payment method for online transactions, taking 51% of the market by 2021. The rapid growth of e-wallets will help fuel the APAC m-commerce market, which is projected to rise at an annual average of 12% annually and be worth US$2,100 billion by 2021. Already enthusiastic about eWallets and social app payments, Chinese consumers will continue to drive healthy growth for these alternative payments online. eCommerce will continue to soar, reaching US$1,559 billion by 2021. China is poised to be at the forefront of new payment innovations, with 93% of consumers already saying they want the opportunity to make purchases in a virtual reality (VR) environment. By 2021 both bank transfers and e-wallets are set to nearly double in share; from 11% to 21% and 13% to 21%, respectively. Besides Single’s Day, more key shopping days will emerge throughout the year as Singapore shoppers become increasingly keen to buy during events like Black Friday and Cyber Monday. mCommerce, now preferred by one-third of online shoppers, will become increasingly important – overtaking desktop shopping to reach US$4 billion by 2021. Hong Kong is a leading digital economy, but eCommerce has yet to take off due to lingering concerns around counterfeit goods. 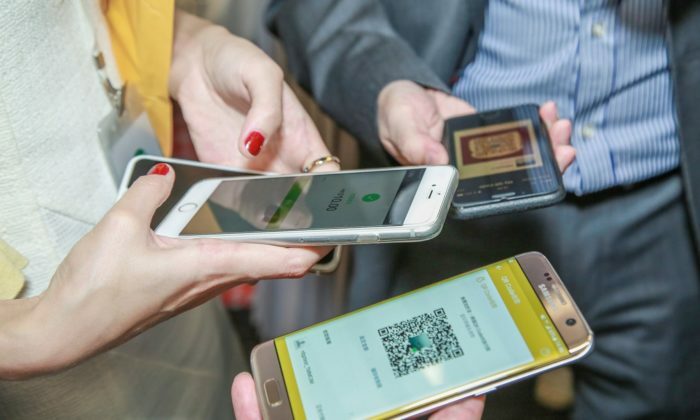 eWallets are catching up to credit cards, and are set to make up more than a quarter of Hong Kong’s online payments market (28%) by 2021.
mCommerce is expected to overtake desktop eCommerce shopping by 2021, reaching US$13 billion in turnover. Now the fastest growing eCommerce market in the world, India will continue to evolve quickly and dynamically. Emerging digital solutions for the unbanked will enable new eCommerce possibilities, as people without traditional banking access become able to pay via eWallets and other digital payments. Credit cards are expected to decline from 12% to 8% market share by 2021, as eWallets and bank transfers become even more popular. “While there are significant variations in how consumers in different Asian markets prefer to pay, a constant is that they are shifting away from more traditional options like credit and debit cards, and instead choosing e-wallets, bank transfers and cash on delivery,” explained Phil Pomford, general manager for Asia Pacific at Worldpay. What this means to brands and businesses, Pomford said, is that online merchants should support a wide range of payment options to create a consistent, streamlined checkout experience for local and cross-border shoppers. Dentsu & Kosmopolito Hotels appoint plus more. ..